Becoming proficient in Italy’s wine terminology, regions and grape varieties may seem like a daunting task, particularly for those who are unfamiliar with Italian. Fortunately, Italian is for the most part, a phonetic language, therefore it is pronounced the way it is written. Below is a guide to further familiarize you with Italy’s 20 wine-producing regions, as well some of the most common Italian grape varieties and wine terms. Abruzzo (ah-BROOT-zo)—Located in central Italy, Abruzzo is known for producing the full-bodied red wine, Montepulciano d’Abruzzo. Aosta Valley (Ah-OH-stah) Italian: Valle D’Aosta (VAHL-leh; DOH-stah)—Located in mountainous northwestern Italy, the tiny Aosta Valley is home to a number of native grape varieties, including the red wine grape varieties Fumin and Petit Rouge, and the white wine grape variety Prié Blanc. Apulia (ah-POOL-yah) Italian: Puglia (POOL-yah)—Located in southern Italy, in the “heel” of the Italian boot, Apulia is known for producing powerful red wines from the Primitivo, Negroamaro, Nero di Troia and Malvasia Nera grapes, as well as bright and fruity white wines from the Malvasia Bianca and Verdeca grapes. They also have a tradition for making delightful rosé style wines. Basilicata (bah-zee-lee-KAH-tah)—Located in southern Italy, Basilicata is especially known for its classic red, Aglianico del Vulture. Calabria (cah-LAH-bree-ah)—Located in southern Italy, in the “toe” of the Italian boot, Calabria is known for producing Cirò Rosso and Cirò Bianco wines.  Campania (cahm-PAH-nee-ah)—Located in southwestern Italy, Campania produces excellent red wines from the Aglianico grape and notable white wines from the Greco, Fiano and Falanghina grapes. There are dozens of other indigenous varieties to discover in this region with particularly ancient winemaking traditions. Emilia-Romagna (eh-MEE-lee-ah; ro-MAH-n’yah)—Located in north-central Italy, Emilia-Romagna is known for producing the purple, often semi-sparkling, Lambrusco, but also makes excellent Sangiovese-based wines and some perky whites. Friuli-Venezia Giulia (FREE-oo-lee; veh-NET-zee-ah; JOO-lee-ah)—Located in northeastern Italy, Friuli-Venezia Giulia produces distinctive reds from the Refosco, Schioppettino and Pignolo grapes, as well as excellent whites from the Friuliano, Malvasia Istriana, Picolit and Verduzzo grapes. 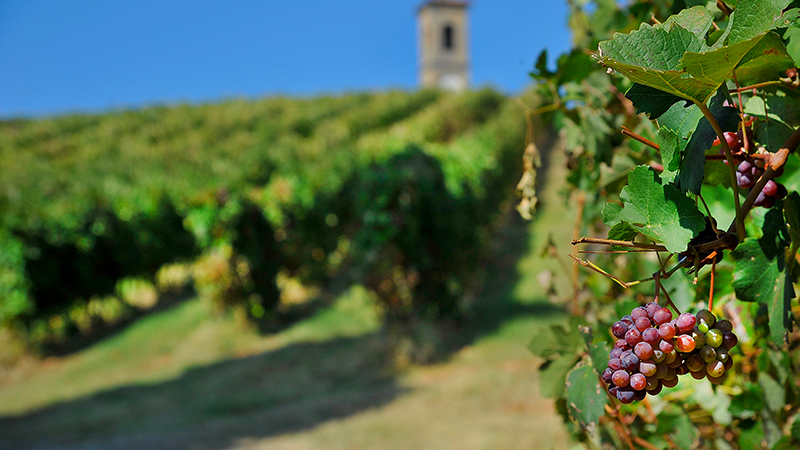 Friuli is particularly famous for full bodied whites from Pinot Grigio, Chardonnay and Sauvignon Blanc. Lazio (LAH-t’zee-oh)—Located in central Italy, Lazio is home to several notable white wines, including Frascati and Est! Est!! Est!!! di Montefiascone, and to some interesting reds from varieties including Cesanese del Piglio. Liguria (lee-GOO-ree-yah)—Located on the coast of northwestern Italy, Liguria is best known for its white wines, particularly from the Pigato and Vermentino grapes, but lighter-bodied reds from Rossese and Dolcetto are worth discovering. Lombardy (LOM-bar-dee) Italian: Lombardia (lom-bar-DEE-ah)—Located in northern Italy, Lombardy is known for producing Franciacorta, a sparkling wine made in the traditional method. Regions such as Oltrepò Pavese, producing great reds from indigenous grapes such as Croatina and Bonarda but quite famous for Pinot Noir, and Valtellina, revered for its mountain-grown Nebbiolo-based wines, are emerging as darlings of the wine world. Marche (MAR-keh)—Located on the eastern coast of central Italy, the Marche is best-known for producing Verdicchio, a white wine grape variety grown primarily in the provinces of Macerata and Ancona, and Rosso Conero, made from Montepulciano grapes grown on the slopes of a seaside mountain of chalky clay. Molise (moh-LEE-zeh)—Located in southern Italy, Molise produces mostly red wine using the Aglianico, Montepulciano and Sangiovese grapes. Piedmont (PEED-mont) Italian: Piemonte (pee-MON-teh)—Located in northwestern Italy, Piedmont produces many notable red wines, including Barolo and Barbaresco, Barbera and Dolcetto, as well as unique white wines from grape varieties including Arneis, Timorasso and Erbaluce. Sardinia (sar-DIN-EE-ah) Italian: Sardegna (sar-DEHN-ya)—An island located off the western coast of Italy, Sardinia produces notable red wines from the Cannonau and Carignano grapes, as well as distinctive white wines from the Vermentino and Malvasia grapes. Sicily (SI-sil-ee) Italian: Sicilia (see-CHEEL-yah)—An island located off the southwestern coast of Italy, Sicily produces a number of fine red wines, such as Nero d’Avola and Etna Rosso, as well as some excellent white wines from grapes such as Catarratto, Grillo and Inzolia. 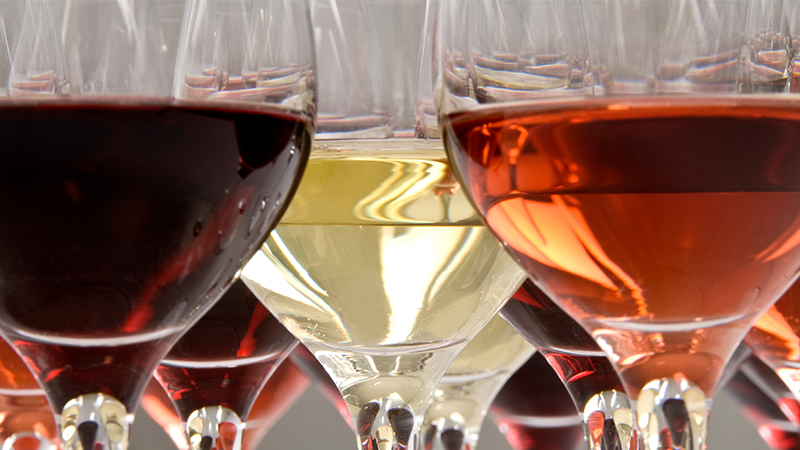 Exceptional dessert wines are made from Zibibbo, the local name for Moscato d’Alessandria. Trentino-Alto Adige (tren-TEE-noh; AL-toh; AH-dee-jay)—Located in northeastern Italy, Trentino-Alto Adige is divided into two distinct provinces: Trentino and Alto Adige. 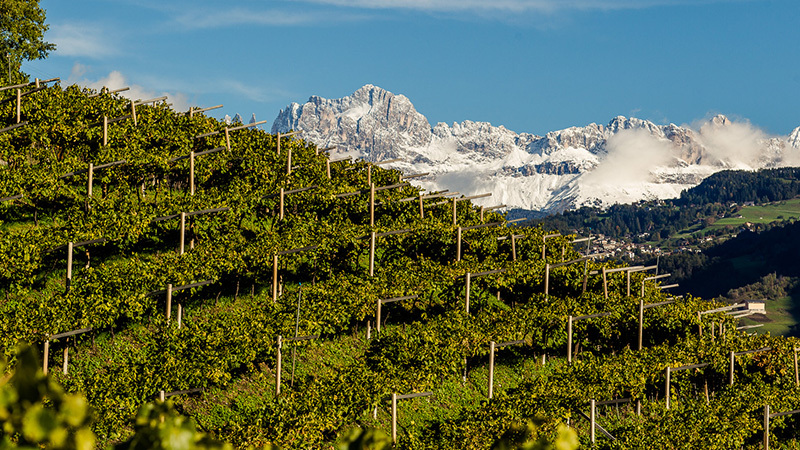 Trentino is known for producing sparkling wines in the traditional method plus great reds from Teroldego and international varieties, while Alto Adige is known for its mineral-driven whites and for producing distinctive reds using the Lagrein and Schiava grapes. Both halves of the appellation are renowned for their Pinot Grigio. Tuscany (TUSK-an-ee) Italian: Toscana (toss-KAH-nah)—Located in central Italy, Tuscany is best known for producing classic red wines from the Sangiovese grape, including Chianti, Brunello di Montalcino and Vino Nobile di Montepulciano, but also for important red blends from the coastal area of Bolgheri. Umbria (OOM-bree-ah)—Located in central Italy, Umbria is best-known for producing Orvieto, a dry, white wine, made predominantly with Grechetto and Trebbiano grapes, but its full-bodied reds, including the unique Sagrantino from the village of Montefalco, are worth seeking out. Veneto (VEH-neh-toh)—Located in northeastern Italy, Veneto is known for producing notable red wines, such as Amarone della Valpolicella, white wines, such as Soave, and sparkling wines, such as Prosecco. Aglianico (ahl-YAN-ee-coh)—A red wine grapevariety grown in southern Italy, primarily Basilicata and Campania. Arneis (ar-Nae-ees)—A white wine grape variety grown commonly in the Roero and Alba regions of Piedmont, also known as the Langhe. Barbera (bar-BEH-rah)—A red wine grape variety grown in Piedmont, Lombardy and Emilia-Romagna. Brachetto(bra-KET-toe) —A red wine grape variety grown primarily in Piedmont. Cannonau (cahn-noh-NOW)—A red wine grape variety grown throughout Sardinia, most likely related to Grenache. Catarratto (kah-tahr-RAHT-toh)—A white wine grape variety grown primarily in Sicily. Cesanese(cheh-sah-NEH-zeh)—A red wine grape variety grown primarily in Lazio. Dolcetto (dohl-CHET-toh)—A red wine grapevariety grown in northwest Italy, primarily in Piedmont. Erbaluce (air-bah-LOO-cheh)—A white wine grape variety grown primarily around the Canavese area of Piedmont. Falanghina (fah-lahn-GHEE-nah)—A white wine grape variety grown primarily along the coast of Campania. Fiano (fee-AH-noh)—A white wine grape variety grown primarily in Campania, it makes some of the finest white wines in Italy. Gaglioppo (gah-L’YEE’OHP-poh)—A red wine grape variety grown in Southern Italy, particularly in Calabria. Garganega (gahr-GAH-neh-gah)—A white wine grape variety grown mainly in Veneto, particularly in the areas of Verona and Vicenza. It is the predominant grape used to produce Soave. Glera (GLEH-rah)—A white wine grape variety grown mainly in Veneto, traditionally in the hills north of Treviso. It is the main grape variety used in Prosecco. Greco (GREH-co)—A white wine grape variety grown in southern Italy, most commonly in the Campania region. The Greco grape is used to produce one of Campania’s most celebrated whites, Greco di Tufo. Greco Bianco (GREH-co; B’YAHN-coh)—Greco Bianco is a completely different variety from the Greco grape, and is related to Malvasia delle Lipari and Malvasia di Sardegna. Greco Bianco is commonly found in Calabria. Greco Nero (GREH-co; NEH-roh)—A red wine grape variety planted primarily in Calabria. Grechetto (greh-KEHT-toh)—A white wine grape variety grown in Central Italy, particularly in Umbria. It is the predominant variety in whites from Orvieto. Lagrein (lah-GRAH’EEN)—A red wine grape variety native to Alto Adige in northern Italy. Lambrusco (lahm-BROO-sko)—A red wine grape variety grown primarily in Emilia-Romagna. The grape is known for producing the frothy, often purple-hued, wine of the same name. Malvasia (mahl-vah-ZEE-ah)—A group of highly diverse and often totally unrelated wine grape varieties grown throughout Italy, including the regions of Friuli-Venezia Giulia, Lazio, Sardinia, Sicily and Puglia. Though most Malvasia varieties produce white wines, Malvasia Nera is often used as a blending grape for red wine. Montepulciano (MOHN-teh-pool-CHEE’AH-noh)—A red wine grape variety grown throughout central and southern Italy, particularly in Abruzzo, Lazio, Marche, Molise, Umbria and Puglia. It is the predominant and often only grape used to produce Montepulciano d’Abruzzo. Nebbiolo (nehb-bee’OH-loh)—A red wine grape variety primarily grown in Piedmont. Nebbiolo is used to produce Barbaresco and Barolo. Negroamaro(NEH-groh-ah-MAH-roh)—A red wine grape variety grown in southern Italy, primarily in Puglia. Nero d’Avola (NEH-roh;-DAH-voh-lah)—A red wine grape variety grown primarily in Sicily, also known as Calabrese. Nerello Mascalese (neh-REHL-loh; MAHS-kah-LEH-zeh)—A red wine grape variety grown primarily on the northeastern side of Sicily, it is the predominant variety in red wines from Mount Etna, an active volcano. Pinot Bianco (PEE-noh; B’YAHN-coh)—A white wine grape variety grown primarily in Trentino-Alto Adige and Friuli-Venezia Giulia. Pinot Nero (PEE-noh; NEH-roh)—A red wine grape variety grown primarily in Friuli-Venezia Giulia, Trentino-Alto Adige, Lombardy and Veneto. Primitivo (pree-mee-TEE-voh)—An early-ripening red wine grape variety grown primarily in Puglia. Sagrantino (SAH-grahn-TEE-noh)—A red wine grape variety grown in Umbria and almost exclusively in the village of Montefalco. Sangiovese (SAHN-joh-VEH-zeh)—The most widely planted red wine grape variety in Italy. Sangiovese is grown throughout central Italy and is the predominant variety planted in Tuscany. It is the primary grape used to produce Chianti, and the sole variety used to produce Brunello di Montalcino. Schioppettino (skee’ohp-peht-TEE-noh)—A red wine grape variety grown primarily in Friuli-Venezia Giulia. Teroldego (the-ROHL-deh-goh)—A red wine grape variety grown primarily in the southern parts of Trentino-Alto Adige. This grape was once highly favored by the elites of the Hapsburg Empire in Austria. Trebbiano (treb-bee-AH-noh)—The most widely-planted white-wine grape variety with many distinct biotypes planted throughout Italy, particularly in the central regions of Abruzzo, Emilia-Romagna, Lazio, Marche, Molise, Tuscany and Umbria. Verdicchio (vehr-DEEK-key-oh)—A white wine grape variety grown primarily in the Marche region it is considered one the highest-quality white grapes in Italy. Verduzzo (vehr-DOO-tsoh)—A white wine grape variety grown primarily in Friuli-Venezia Giulia and often made as a passito-style dessert wine. Vermentino (vehr-mehn-TEE-noh)—A white wine grape variety grown primarily in Sardinia, Tuscany and Liguria, capable of producing very high-quality wines. Amarone della Valpolicella (ah-mah-RO-neh; deh-lah; val-po-lee-CHEHL-lah)—A red wine produced in the Valpolicella area of Veneto using partially dried Corvina, Corvinone and Rondinella grapes, along with a smaller percentage of other approved varieties, it makes full-bodied, velvety wines with varying levels of perceptible sweetness. Barbaresco (bahr-bah-RES-co)—A red wine produced in the Barbaresco, Treiso and Neive communes of Piedmont, using the Nebbiolo grape. Barolo (bah-ROH-loh)—A red wine produced primarily in the communes of Barolo, Castiglione Falletto, Monforte, La Morra and Serralunga d’Alba in Piedmont. 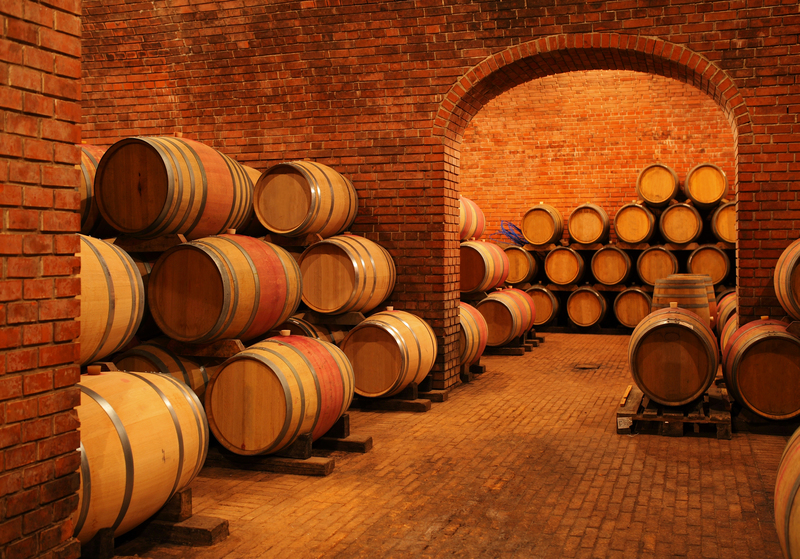 Barolo is produced using the Nebbiolo grape and must be aged 4 years before release. Brunello di Montalcino (broo-NEL-lo; dee; Mohn-tahl-CHEE-no)—A red wine produced around the town of Montalcino in Tuscany, using the Sangiovese Grosso clone of the popular grape and requiring 5 years of ageing before release. Cerasuolo di Vittoria (CHEH-rah-SWOH-loh; dee; veet-TOH-ree-ah)—A red wine produced in Sicily using between 50%–70% Nero d’Avola grapes and 30%–50% Frappato grapes. Chianti (kee-AHN-tee)—A red wine produced in the Chianti region of Central Tuscany. Chianti is produced primarily with Sangiovese grapes, along with a smaller percentage of Canaiolo and other approved grape varieties. Chianti Classico is the strictly-delimited historic winemaking area stretching between Florence and Siena within the larger Chianti denomination. Cirò Rosso (chee-ROH; ROHS-soh)—A red wine produced in the foothills of the La Sila region of Calabria using primarily the Gaglioppo grape. Fiano di Avellino (fee-AH-noh; dee; ah-VEHL-lee-noh)—A white wine produced near the town of Avellino in Campania using the Fiano grape. Franciacorta (frahn-cha-COR-tah)—A sparkling wine produced in the Province of Brescia in Lombardy. Franciacorta is produced with international varieties using the traditional method, which involves a secondary fermentation in the bottle. Gavi (GAH-vee)—A crisp, dry white wine produced in the Province of Alessandria in Piedmont using the Cortese grape. Greco di Tufo (GREH-co; dee; TOO-foh)—A white wine produced near the town of Tufo, in Campania, using the Greco grape, occasionally with a small percentage of Coda di Volpe. One of Italy’s finest white wines. Nizza (NEE-t’sah)—A red wine produced near the town of Nizza Monferrato in Piedmont, using exclusively the Barbera grape. Orvieto (or-vee-EH-toh)—A white wine produced in the Orvieto region of Umbria and Lazio. Orvieto is produced using Grechetto and Procanico (a local name for Trebbiano) grapes, along with other approved varieties. Prosecco (proh-SEK-koh)—A white, usually sparkling, wine produced in Veneto and Friuli-Venezia Giulia. Prosecco is made primarily with Glera grapes, and may include a small percentage of other approved varieties. Salice Salentino (SAH-lee-cheh; sah-lehn-TEE-noh)—A red wine produced in the provinces of Brindisi and Lecce in Puglia. Salice Salentino is made primarily with Negroamaro and Malvasia Nera grapes. Soave (so-AH-veh)—A white wine produced near the city of Verona, in Veneto, using primarily Garganega grapes, possibly with smaller percentages of Trebbiano di Soave and Chardonnay. Taurasi (tah’oo-RAH-zee)—A robust, age-worthy red wine produced in the province of Avellino in Campania with the Aglianico grape. Vesuvio (veh-SOO-vee’oh) DOC — The Vesuvio DOC area is located in Campania on the slopes of Mount Vesuvius above the Gulf of Naples. The denomination produces reds, whites and rosés. One of the DOC’s most notable wines is Lacryma Christi, which can be found in both a red variety (using Piedirosso and Sciascinoso grapes) or a white variety (made using primarily Verdeca and Coda di Volpe grapes). Vino Nobile di Montepulciano(VEE-noh; NOH-bee-leh; dee; MOHN-teh-pool-CHEE’AH-noh)—A red wine produced near the town of Montepulciano in Tuscany using a minimum of 70% Sangiovese grapes and up to 10%–20% other grapes such as Canaiolo, Mammolo or even international varieties.